Saturday May 11, 2019 at 9 a.m.
Farm day. Please gather behind Ravenwood. arboretum, walks, and agricultural demonstrations, for the use of the general public. The Friends invite and welcome anyone interested in becoming a member to join them. The Board of the Friends of the Farm continues to meet and to advocate for the lands of the Experimental Farm to remain green and for all to enjoy. The Board has met this winter with the manager of the Farm and with the Mayor of the City of Charlottetown, Philip Brown. It was the wish of the membership at the annual meeting in November that the Friends of the Farm continue to plant and maintain the Crown Garden on the Farm property. This is with the agreement of Ag Canada and with the assistance of the staff of the Research Station on the Farm. The Friends of the Farm supply the plants which the Board works hard to find the best possible price. It is costly with the bill amounting to $900.00 for the plants. The plants are selected according to the pattern for the crown. The planting is done by staff and the maintenance during the summer by Board members. In order to continue with this project the Friends of the Farm requires donations. Some members at the meeting offered to make a donation as they feel strongly that this tradition of the Crown garden should continue. The Board would appreciate donations from the membership and others at this time so that we can plan to plant this spring. Thank you. Donations may be mailed to Friends of the Farm, PO Box 265, Stn Central, Charlottetown, C1A 7K4 or please contact any Board member. Thank you! FRIENDS OF THE FARM (P.E.I.) INC.
Approval of the minutes November 7, 2017 AGM. Saturday May 12, 2018 at 9 a.m. The Friends of the Farm will have the sixth annual Farm Cleanup morning. and pick up litter from the winter. Cleanup which is also on May 12. Comfortable shoes/boots and a pair of gloves are all you need to come join in. Your help and support of this project of the Friends of the Farm is appreciated. All hands welcome as we will fill the bags with the debris from this messy winter. Friends of the Farm PEI recently held their Annual General Meeting. President Lane MacLaren welcomed everyone, including speaker Bruce MacNaughton. He acknowledged Board members present; secretary/treasurer Nora Jenkins, chair of membership Gertie Purdy, Catherine Hennessey, Laura Lee Howard, Sharon Larkin, Connie MacKay-Carr, Libby Martin, and Linda Thomas. Former Board member Bert Christie was also in attendance. Lane stated that the mandate of the Friends is to ensure The Experimental Farm remain green in perpetuity for all to enjoy. The current property status seems relatively stable, with Agricultural Canada increasing research activity on the property with a focus to organic food trials. The Friends activities include the spring clean in concert with Women’s Institute. Doug MacDonald, recently resigned Board member, quarterbacked this. His efforts will be missed. Doug also led the Royal Crown Garden project, in collaboration with The Agricultural Research Station, City of Charlottetown, VanKampen’s and the Friends. VanKampen Green houses discounts over 1000 plants, The Farm staff plants and pulls them, the City waters, and the Friends maintains it through the summer months. It is truly a cooperative effort. 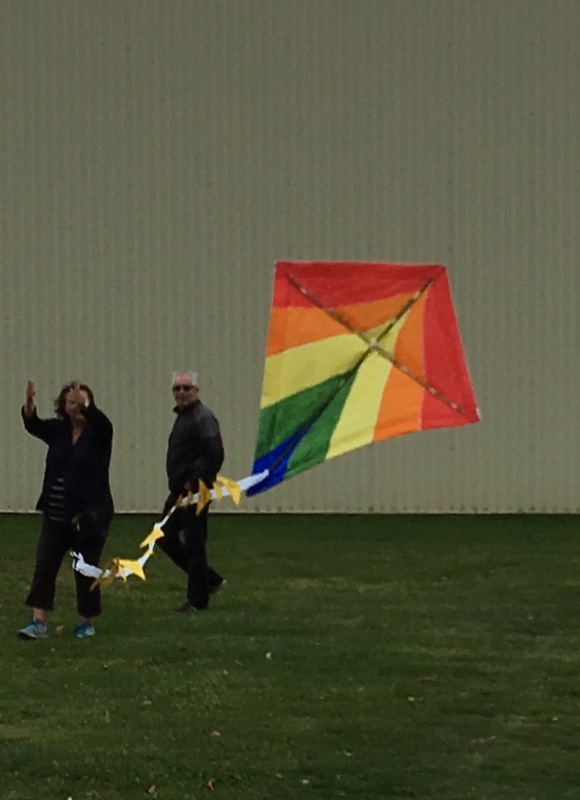 Kite Day happens in the fall with the collaboration of The Agricultural Research Station, The Farm Centre, The Legacy Garden, Colorsky Kites and Gift Shop, the PEI Association for Newcomers, and this year, the PEI Tool Library. Beamish Organic apples and cider are shared while people create their own kites, led by Pat Beamish, or they can choose to fly a bought kite, or a donated kite kit. Premier’s Grove- Friends have bought trees to plant and ensure there are plaques on each trees. In recent years, former premier Jim Lee’s tree was replanted, and Premier Wade MacLauchlan planted his tree. The public is invited to come and view the Premier’s Grove. Gertie Purdy reported that there were 351 individual and/or family memberships. Now is the time to renew and/or purchase a membership for the new year. Doug Ezeard and his firm graciously prepare our financials annually, which is made up of memberships and donations. Bruce began speaking about the MacEachern family, thinking of Janice, the gardens, creativity, and passion. “Her passion stopped me in my tracks at the Farmer’s Market one day. Nothing worth doing can be achieved without passion. We are because I am passionate.” Bruce came to realize he didn’t enjoy chasing the world to make a living, instead he wanted to invite the world to his home. It’s “my hobby…Catherine (Hennessey) called to say thank you for buying the building. It’s become a place where lots of people visit.” “I’ve given my life up to a higher power. There’s a chapel that sleeps 8 , a respite cottage booked 50% Canadian, 50% American, some stay no charge. About half are Women with mastetic breast cancer. Families as far away as Vancouver, California” . “The love we have seen expressed there –a family with one daughter who was deaf, blind, mute …she was so loved and cared for by her siblings. They said it was the best vacation in their life.” What’s next? –Henry Purdy assisted with a visual arts festival this summer. Some of the art s sold with proceeds going to the Garden, a convention came chose it as their charity of choice. There is a Hoyer lift, hospital bed, many volunteers, so many people donated items to help build the place. The Gardens of Hope, 2 kms of paths, all the secret spaces, gentleman from Chile- came to spend time in PEI- his footprint and signature brought it to a lovely new level. There are 70 butterfly farmers in the world. We import from two; Costa Rica, and the Phillipines. In Costa Rica- it’s a cooperative with 80 families, they are buying Amazon lands, and they are doing eco- tourist. The butterflies live only 1-2- weeks-se we import every one to two weeks.. CFIA (Canadian Food Inspection Agency Approved). We account for every import, and everyone in either living in the green house, or expired in the deep freeze. They are brought in as pupae. The butterfly, is a story line of metamorphosis, the seasons of nature and of life. Please see a membership and renewal form attached. Charlottetown Tool Library Kite Design, Build, and Fly Project! Saturday May 13, 2017 at 9 a.m. The Friends of the Farm will have the fifth annual Farm Cleanup morning. Garbage bags will be supplied courtesy of the Women’s Institute Roadside Cleanup which is also on May 13. Comfortable shoes/boots and a pair of gloves are all you need to come join in. Your help and support of this project of the Friends of the Farm is appreciated. This year we are inviting neighbouring businesses and residents to join us in the Clean Up. All hands welcome as we will fill the bags with the debris from this messy winter. Bert Christie was presented with the Janice Simmonds Award for 2016 by the Friends of the Farm. The award is presented annually in recognition of contribution to the creation, preservation or management of public green spaces on PEI. Mr Christie was a founder of Friends of the Farm and had a distinguished career as a plant scientist. Pictured with Bert is Nara Simmonds, Percy Simmonds and Kali Simmonds.